It is great to see Archie consistently stepping outside the iconic style of Archie Comics. His horror genre revamp of one of their more famous characters sure continues that theme - I mean just look at that detail! 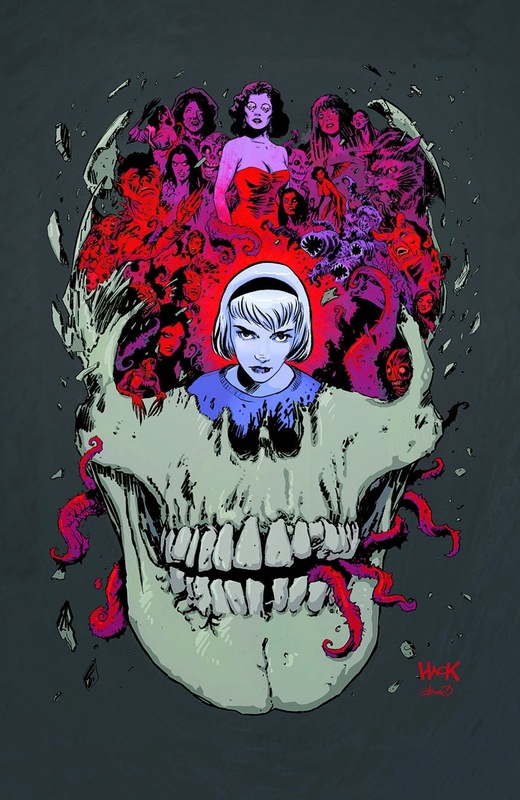 THE REGULAR READ AFTERLIFE WITH ARCHIE #7 "Betty, RIP," Part 1 (of 6). It's been weeks since Archie and his friends left Riverdale. Now, they are wandering the deserted highways of America, one step ahead of the ever-pursuing vicious zombie horde. When they decide to set down roots to observe their first post-apocalypse Thanksgiving, Mr. Lodge leads a team into the forests of Pennsylvania to find dinner, but the hunters soon become the hunted, and not all of the gang will make it out of the woods alive! (W) Roberto Aguirre Sacasa (A) Francesco Francavilla. 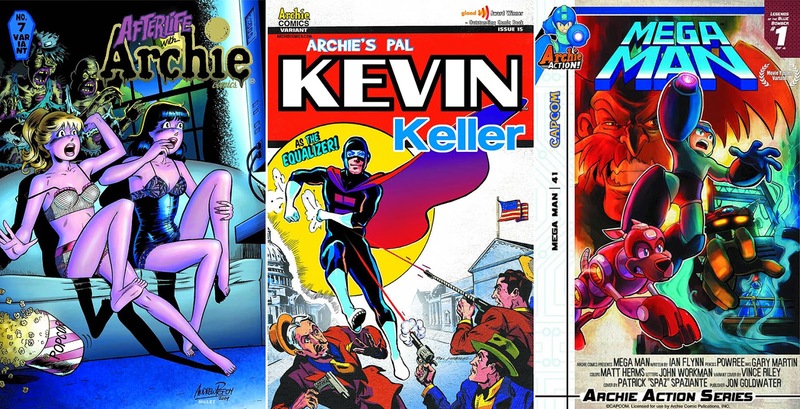 KEVIN KELLER #15 Kevin became a semi-celebrity after coming to the aid of a robbery victim, and it got Veronica's wheels turning: of course, Kevin would make the perfect superhero! With her unlimited resources and limited common sense, Veronica built a secret lair into her mansion, where they could monitor crime and send Kevin out to fight it as The Equalizer! The only piece of the puzzle left is Kevin-he still has to decide if he wants anything to do with her crazy schemes! (W) Dan Parent (A) Dan Parent and various. What do you think? For the full Archie September 2014 solicitations, click the jump.